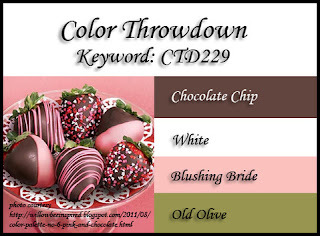 Be sure to hop around to see what the CTD girls have created for you today or you can click on over to the Color Throwdown blog to see everything all in one place. 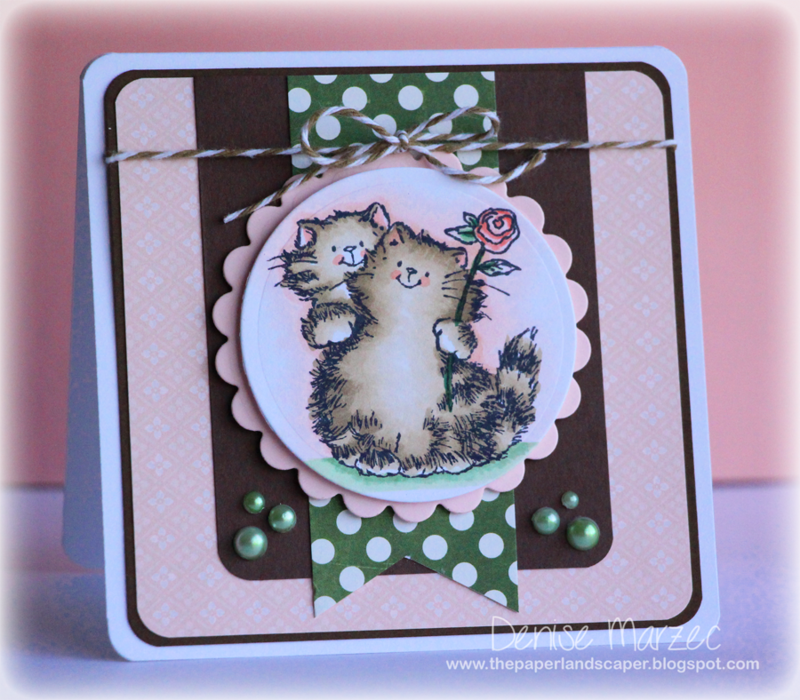 ...and our February Guest Designer, Kim Hahn! 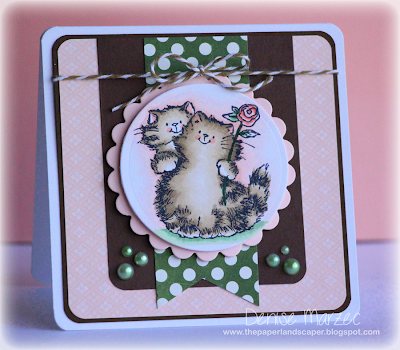 The sentiment is from Inside and Out Happy and it's stamped on classic ivory CS. 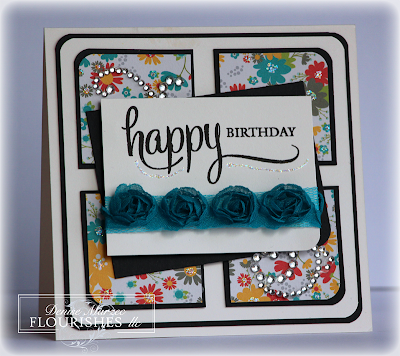 The main image is popped up on foam tape and I added some turquoise organza roses. For the glitter and shine challenge, I added adhesive finesse rhinestones as well as some Stickles under the word "happy" and in the centers of the flowers in the DP. 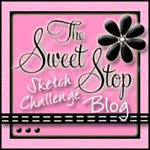 The layout is Deconstructed Sketch #90.
and our February Guest Designer, Bridget Finlay! Hi everyone! It's my turn to host the Timeless Tuesday and this week's challenge is to use red on your card/project. Easy peasy, right? 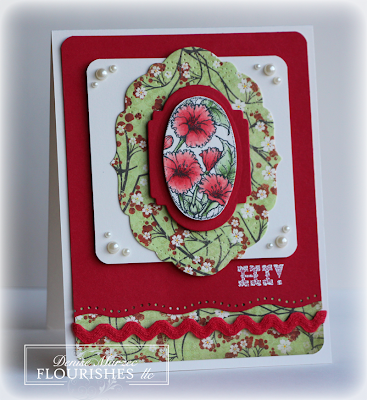 For my card I used Old Fashioned Florals, Perfectly Pierced Victorian Ovals, and Perfectly Pierced Classic Frames. The DP is Bo Bunny Serenity, the card base is Classic Ivory CS, and the sentiment is stamped in white craft ink and heat embossed with white embossing powder. The oval, red classic frame, and white square panels are all up on separate layers of foam tape. The main image is colored with Copic markers from the Poppy and Leaf Green Collections. 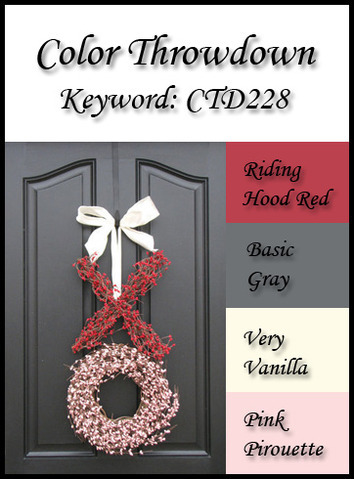 Some red ric rac ribbon and Kaiser adhesive pearls finish it all off. The layout is Deconstructed Sketch #89. 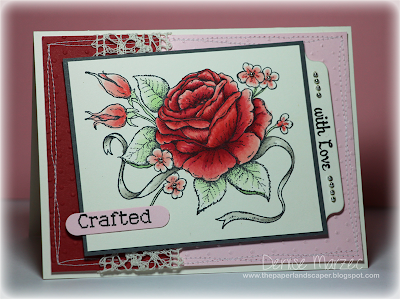 I used my Penny Black "Stuck On You" clear set. The layout is Deconstructed Sketch #88 and I totally took inspiration from Tobi Crawford's card (you can see it by clicking HERE....sweet, right?!) 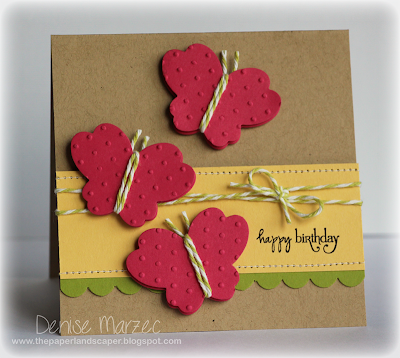 with the square card with rounded corners, twine, and pearl accents. I didn't have Blushing Bride CS so I replaced it with some Pink Pirouette CS and patterned paper. The circle with the cats and the pink scallop circle are both up on separate layers of foam tape. The green polka dot paper is actually Christmas paper (lol!, hey, if you got it, use it! ); MME Merry Christmas Winter Wonderland. I colored the adhesive pearls with a G21 Copic. The Penny Black image is colored with 0, E41, E42, E43, R20, R22, G21, G28, and G40 Copics. I changed it up a bit to make it my own with an aqua color scheme and I used two hearts since I didn't have a big enough heart die like she used on her card. 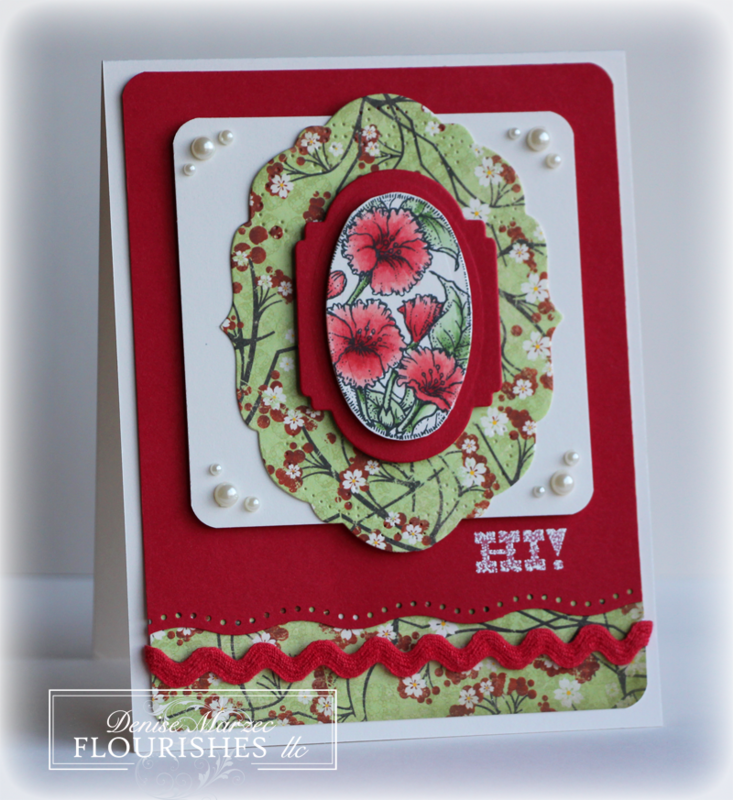 Stamps are Flourishes' "Inside and Out You" and the card base is Flourishes' Classic White CS. 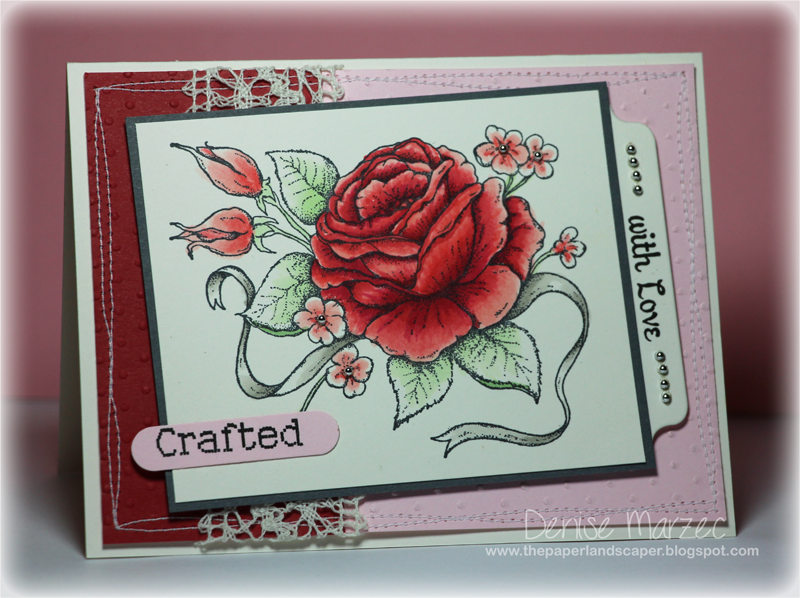 Stamps: Flourishes "Inside and Out You"
The rose stamp is an oldie of mine but one of my favorites to color; it's by Inkadinkadoo (stamp #90438). 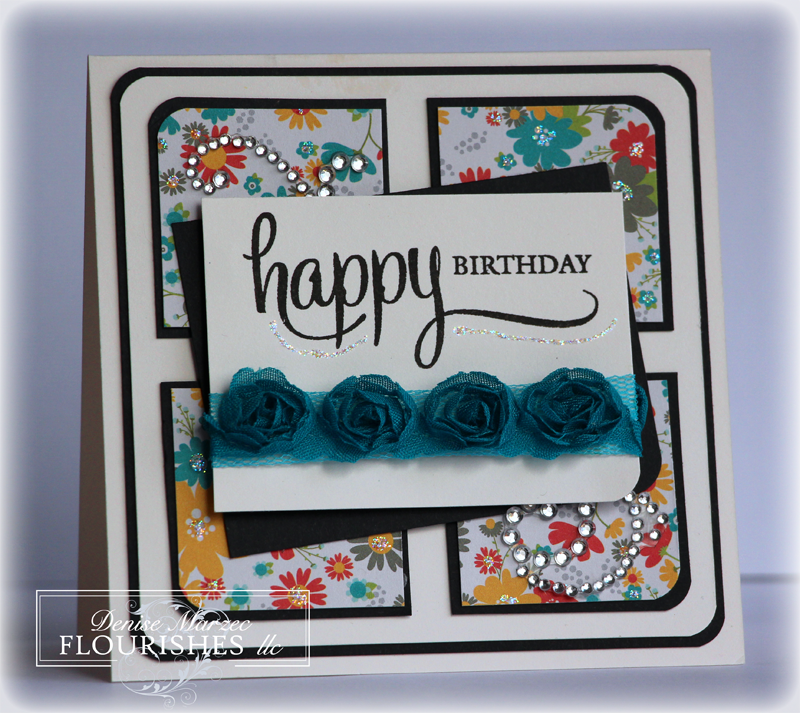 The sentiments are from Flourishes' Stitched For You. Yes, I did add a little green to the leaves in my image (G40 Copic), but the rest of the image is strictly reds, pinks, and grays (0, W1, W3, R20, R22, R24, R29). 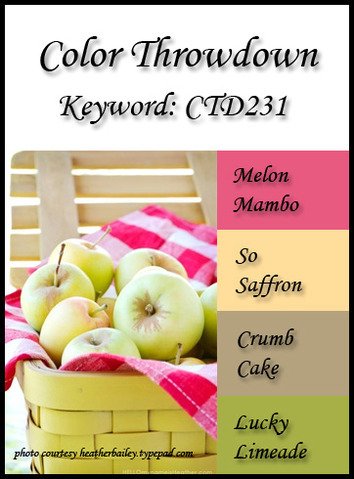 The sentiments were cut with SU's word window punch and MFT's file tab die. The background was embossed with my swiss dots embossing folder, and some crochet ivory lace and silver pearls finish it all off. Oh, and the main image is up on foam tape. I used Flourishes' Sentimental Favorites, My Mind's Eye Sweetest Thing--Lavender, some heart dies, an adhesive pearl, my swiss dots embossing folder, some baby pink seam binding, and the card base is classic white CS. The hearts and the large DP panel are all up on foam tape.